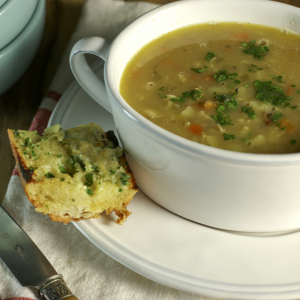 This comforting beef barley soup is just what you need to fend off the polar vortex. It is an old-fashioned soup that provides instant feelings of well-being. Make extra servings to store in your freezer! 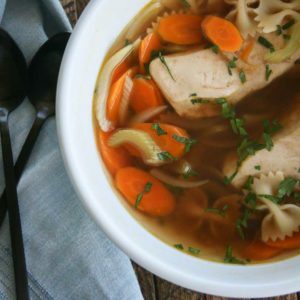 An easy chicken noodle soup for when you are feeling a bug coming on or just need a quick, but comforting meal. The magic is in the seasoning of the broth. 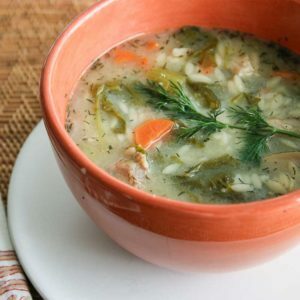 I think of this Lemon Chicken Soup as flu soup or cold soup, because it is just what I want to eat when I have a cold or the flu. 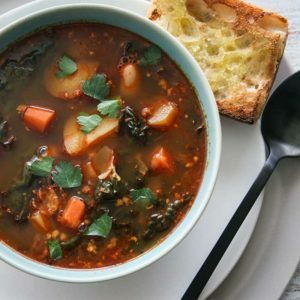 This soup is hydrating, easy to digest, full of nourishing chicken and vegetables and is brightened with lemon juice for extra vitamin C.
For this kale soup I use lacinato or dinosaur kale, fresh Mexican chorizo, red mini potatoes and cannellini white beans. It has similar ingredients to Portuguese kale soup or Caldo Verde, but instead of using chourico sausage, I use Mexican-style chorizo, which is crumblier and spicier. 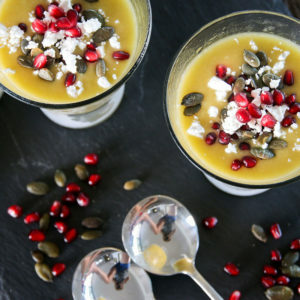 A delicious and refreshing chilled melon and avocado gazpacho that uses the best of late summer and early fall ingredients. 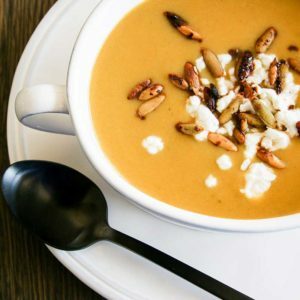 A pomegranate, pepitas and feta cheese garnish balances the sweetness of the soup and provides texture and contrast. 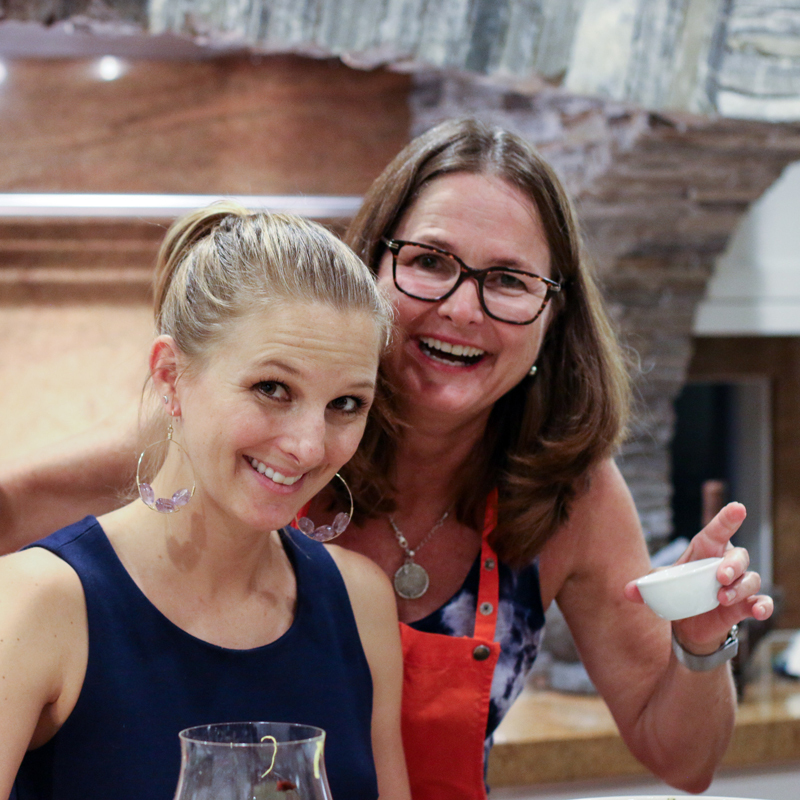 This chilled avocado gazpacho from The Vintage in Ketchum, Idaho has a secret ingredient usually not found in gazpacho that really makes this cold soup cook! This easy-to-make watermelon and tomato gazpacho is the perfect summer dish to get you through the heat, minimize your cooking efforts and feed you for a week. 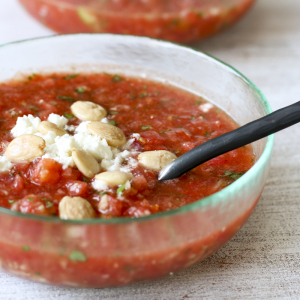 Watermelon gives this gazpacho an extra flavor burst and a little sweetness. A comforting soup, that puts you in the mood for a summer night at the sea. Hearty enough for a meal, but is best served with crusty garlic bread. 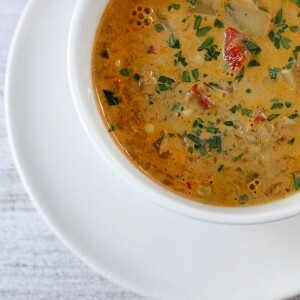 Broth based clam chowder is a lighter, vegetable dense version of clam chowder. Made with clams, bacon, potatoes, celery, carrots and lemon juice, this may be your new favorite clam chowder.